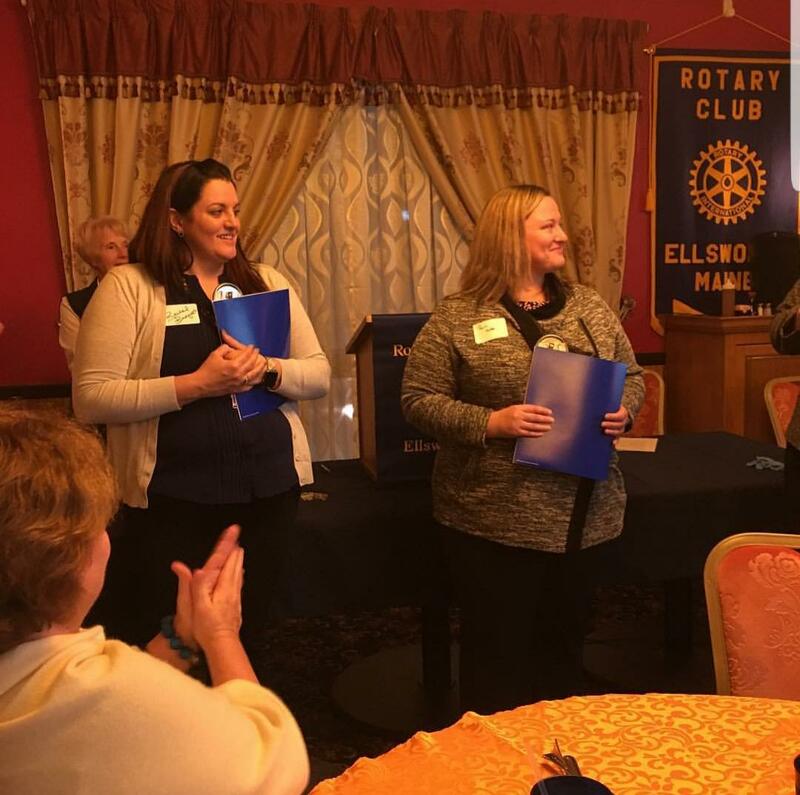 During our Membership Night, our club inducted two new members. Please welcome Perri Huitt and Rachel Bousquet! Opening Ceremonies: President Tracy Shaffer called the meeting to order. Invocation by Terri Stephens and we said the Pledge of Allegiance. 50/50: Dom Efter - $18, which he donated back! Dom is thrilled with the Red Sox; Carl Lusby is happy because of his wife and their recent anniversary; Rod Fox is pleased to meet Forrest and won’t hold membership in the Kiwanis against anyone; Charlene Churchill and Debbie Ehrlenbach are happy we are welcoming guests; Allegra Pellerino is happy for her recent trip to Iceland and safe landings; Gene Pellerino is appreciative of the success of the Purple Pinkie for Polio this past Saturday at Pat’s Pizza; Jodi is happy she’ll get out of work early to get her kids ready for Halloween tomorrow; Marshall Smith expressed gratitude for club member, Bill Casle, with a recent appendectomy; David Jardine was the third guest to share appreciation for being at the meeting and he shared that he participated in Rotary as an exchange student to Denmark many years ago; Frederick Beyer shared a joke about a little girl asking serious questions that could be answered via a driver’s license (yikes); Teresa Hodum was happy because Marshall remembered to invite her tonight after first talking about it months ago; Jim Newett was thankful for his honor last spring as a Paul Harris Fellow; David Wells finished the wheel chair grant; Scott Kimball also expressed happiness for the Red Sox and for his discovery of the ‘fountain of youth’ because the DMV has given him no more lens restrictions to drive. 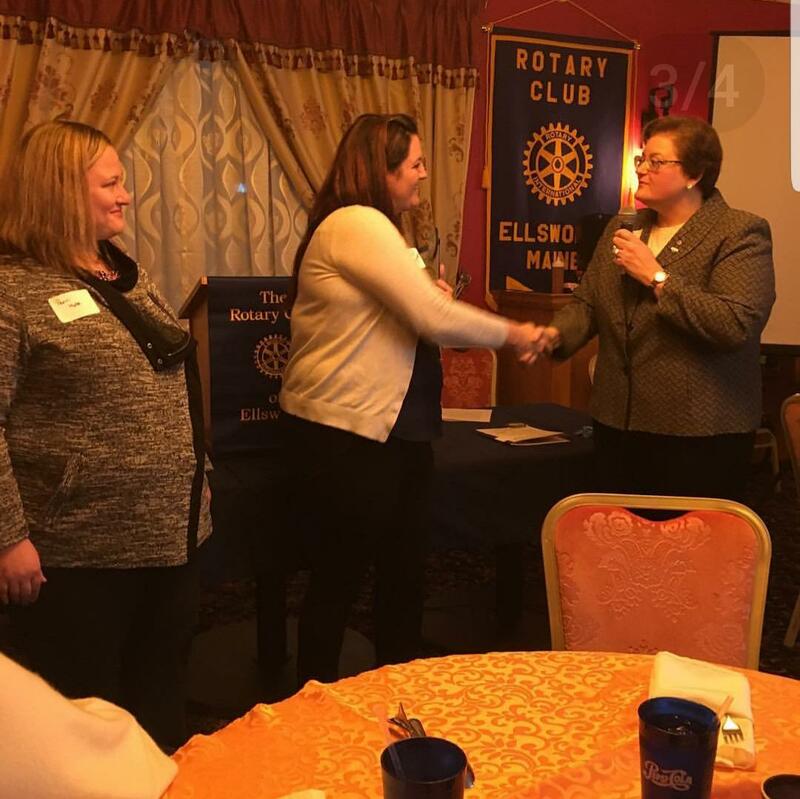 Carl Lusby provided an overview of Rotary and Tracy Shaffer introduced project and committee chairs, describing what they do prior to the induction of two new members, Perri Huitt and Rachel Bousquet. Marion Wells and Dominic Efter were provided pins in recognition of their work helping our newest members navigate the process of joining. Scott Kimball reported on the blood drive from last week. 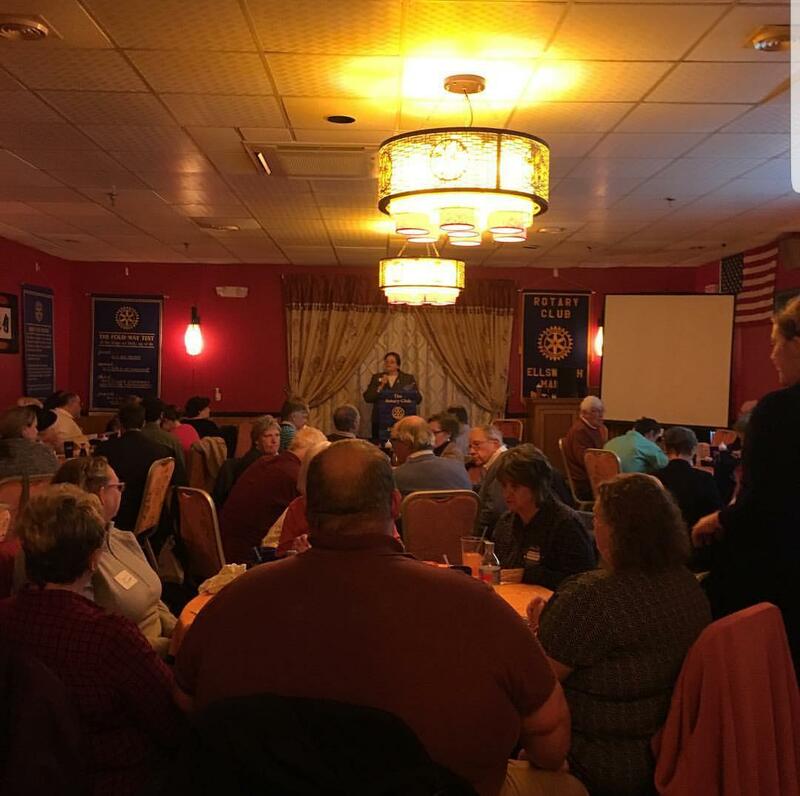 Clyde Cushing thanked folks who worked on the blood drive and purple pinky project and reminded the group of the November 10th Loaves and Fishes food drive at Hannaford. 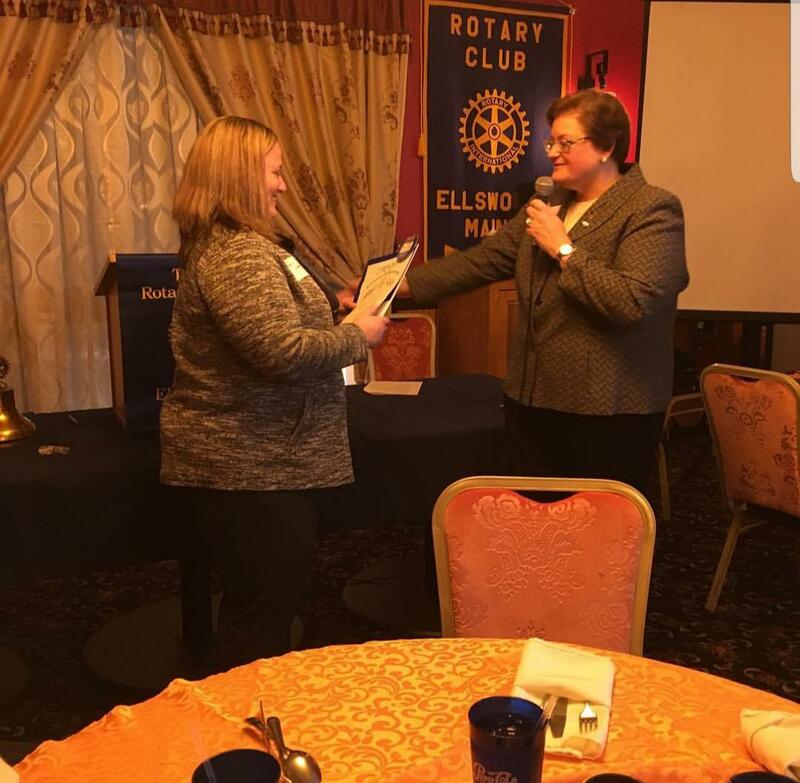 After Tracy described Rotary’s calendar year, Scott Kimball shared the roster for next year’s officers, noting that we’ve never had a repeat since the Ellsworth club was founded. The vote will occur on the 27th of November, and if anyone is interested in holding one of these positions they should let the Nominating Committee know. Tracy asked the past presidents to stand for recognition. 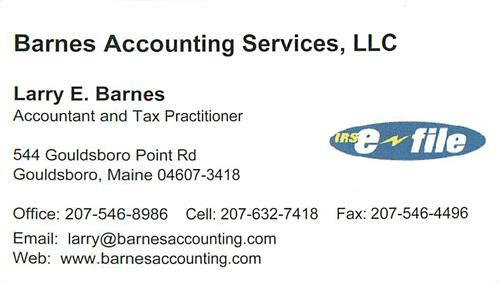 November 8th we will have a booth at the Chamber of Commerce’s Business After Dark event at the Ramada Inn from 4 to 7 PM. This is an opportunity to inform more people in the community about what our club does and maybe identify more prospective members. David Wells also shared the facial hair growth completion for November with proceeds going to the Maine Coast Memorial Hospital for men’s health. Next week’s meeting will be a social event to celebrate the election.